Our history is as colorful as any mining boom town of the era and you have only to walk down Main Street still graced by several turn of the century buildings with high false fronts and covered porches to get the feeling of the old days. It's easy to imagine the miners who prospered in places with names like the Klondike, the Morning Glory and the Golden Rule, coming to town for supplies, to socialize and to raise a little cain. And the people here love to remember. Granby holds Old Mining Town Days every summer with a three-day, 4th of July celebration that draws thousands of visitors for a slice of pure Americana. There simply isn't an event quite like it anywhere anywhere else in the region. In the early 1800's a man named Madison Vickery discovered lead while digging for water. News of Vickery's strike, around 1850, spread quickly. The resulting flood of prospectors was so wild the time came to be known as the Granby Stampede. By 1855, Granby's air was ringing with the sounds of picks and shovels against the rocky hillsides. The population swelled to 8,000. By 1859, over 25 million tones of lead had been shipped from Granby mines. Granby had the largest lead mining and smelting operations in the state and was one of the most important lead resources in the country. During the civil war, both North and South came to Granby for ammunition. Granby lead flew both ways during the Civil War. In October of 1862, the Battle of Granby finally established Union control of the mines, though the smelter was destroyed in the fighting. After the war, mining resumed with a fury, aided by new technology and improved rail transportation. Gradually, the people put down more than shafts into the red loam and rocks; they put down roots. The mines thrived through the first and second World Wars, but when the payable ore deposits began to run out, many people stayed on. They had found something more valuable than mineral deposits. They had discovered that Granby was a good place to live. The natural beauty and bounty of wild life and fresh water still draws people to Granby. Granby offers the benefits of quiet neighborhoods, down-to-earth community values, good schools and lots of churches, all with a wealth of world-class entertainment, recreation, employment and educational opportunities just minutes away. 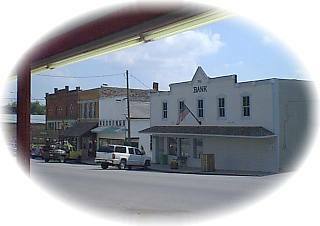 Located on US Highway 60, Granby is a gateway to the Ozark;s playground in the Branson area.